Warm your home without burning through your wallet by contacting McLaughlin today. Why Choose McLaughlin’s Stockton Air Conditioning? We are Professional! There is a reason we are the leader in Customer Satisfaction in the San Joaquin County and Bay Area. For over 60 years, our professionally trained staff has been delivering the highest quality service, parts, and knowledge to our community. We show up on time, professionally dressed, expertly trained and ready to serve! We are Punctual! Picture this... It is the middle of July and you have spent the day out in the sun at a Stockton Ports game. You get home, and its 1000 degrees inside. How long do you want to wait for a Stockton HVAC professional to show up and get your home temperature back to normal? Not only are we always on time, but we also offer 24 Hour Emergency Service. We provide the best service at the best price! 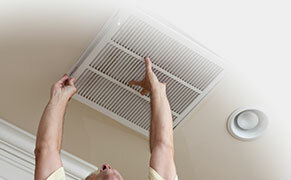 There are many companies that you could choose from when looking for HVAC repair in Stockton. Do you really want to go with some guy that charges "$29".. what kind of value and service do you really think you will be receiving? No, we are not the least expensive, but for our level of professionalism, service, knowledge, and honesty, you are guaranteed to be getting the best value. We don't tack on fee after fee, and there are never any hidden charges, unlike many of our competitors in the area. We Are Honest! We understand most people don't fully understand how their heating and cooling systems, furnaces, water heaters and plumbing work. That is why we take the time to explain the situation to our customers. Whether it is a simple maintenance issue or a large system repair, we want you to understand every step along the way. You can rest assured we will never suggest any unnecessary repairs, and always do our best to keep you educated so you don;t have to rely on McLaughlin Air Conditioning Co. for things that you could possibly take care of yourself! 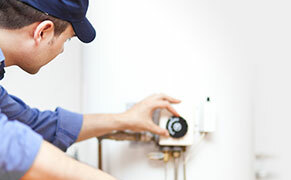 Simple Home Owner maintenance goes a very long way in the life of most HVAC and plumbing equipment. Your home should keep you warm in the Winter and Cool in the Summer, while still being as efficient at possible. After all, it is critical for not only the environment, but also for your health. Our Central Valley HVAC Company provides a vast range of air conditioning and heating services to improve your home environment and your family’s quality of life. You can rest assured that McLaughlin Air Conditioning Co. will provide you with the highest quality air conditioner and heating system that fits your family's needs and preferences. Our reputation as the premier HVAC service, HVAC Sales, and HVAC Repair company in the Central Valley and Bay Area has come from years of hard work, and our constant focus on providing our community and neighbors with the best AC and heating Services, with the best technicians, at the most valuable rates.! Are there cheaper options for your Stockton heating and air needs? Maybe. But we always provide the most value and there are never any hidden costs or up-sells! At McLaughlin Air Conditioning Co., we provide our customers with both residential and commercial HVAC installation services. Whether your property is of new construction or an existing building, we can install your new HVAC system with perfection. When you hire the experts at McLaughlin Air Conditioning Co., you are hiring professionals that are constantly undergoing more training to maintain their certifications. This is done so that our customers can always be confident that we will install your new system correctly. When choosing a system for your home or commercial property, it is just as important to choose the right one as it is to choose the right company to install it. When you hire McLaughlin Air Conditioning Co., you get the best of both worlds! 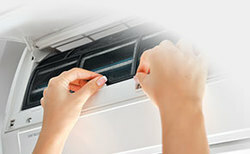 We are the right company and will help you to choose the right HVAC system for your home. Our installation services are the best in Stockton, CA and our customer base continues to grow as we satisfy each and every person 100%! The first step in having your new system installed is choosing the right system. 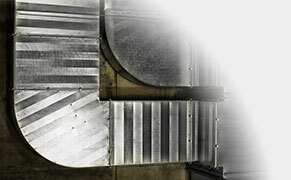 Our team is experts in calculating ventilation requirements, energy demands, and solar effects. These three factors, along with many others, helps us to pick the right system for all of your needs. Heating, air conditioning, and ventilation are all important components when building a new home or commercial facility. The decisions that you make on systems and different equipment will have consequences that will affect you for years to come. This is why it is so important to have a top rated company to install your HVAC system and help you to choose the one to best fit your needs. Your comfort now and your comfort in the future is one of the most important aspects that should be kept in mind when making big decisions. Our team will help you to easily feel confident that you will not have to worry about your comfort for many years to come. Our systems are the highest quality and come with only the highest quality installation services. If you live in Stockton, CA or the surrounding areas, our team wants to help you live in comfort by installing your brand new HVAC system. You can count on us to have the most competitive prices and not consider a job done until you are completely satisfied. If you are in need of a new HVAC system being installed and need our professional expertise to install it, you can call us at (209) 465-4800. 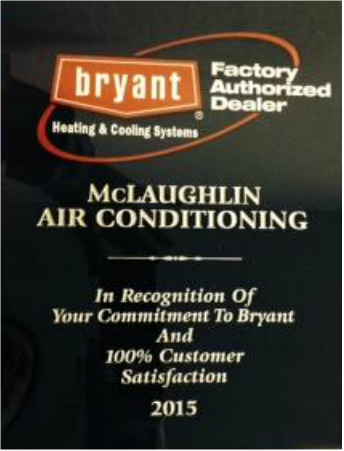 McLaughlin Air Conditioning Co. is in the business of providing the best HVAC installation services possible. If you would like a free instant quote or to set up an appointment today, contact us now!